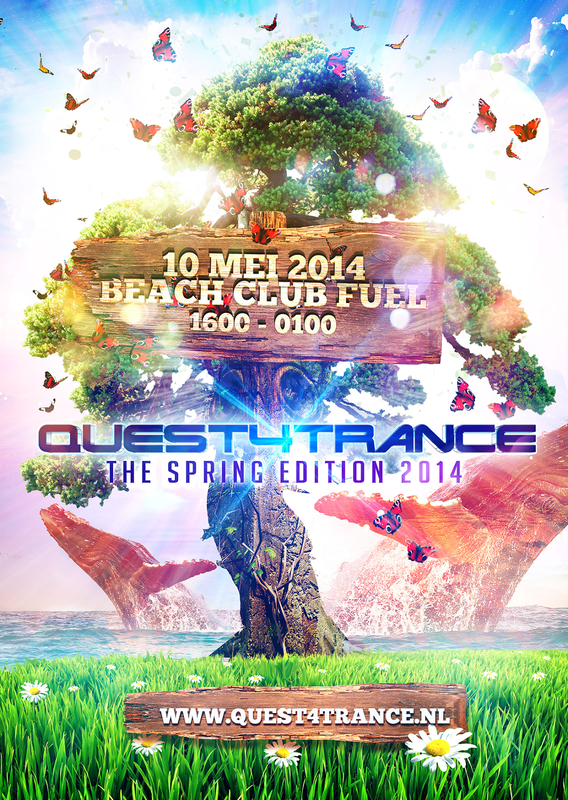 On Saturday May 10th, Quest4Trance organizes ‘The Spring Edition’. The event starts at 4 PM and will last until 1 AM. We will usher in The Spring Edition with our feet in the sand. For this event, we have chosen the marvelous Beach Club Fuel. An excellent location! Because at Beach Club Fuel you can realize a fantastic event, both indoor and outdoor. When the weather is good, you can chill in the sun during the day while enjoying the music. But should the weather be bad, we will have a great party inside! Beach Club Fuel is perfect for that as well. This year we have a line-up with both artists from the Netherlands and abroad. Varying from trance, tech trance and hard trance, this edition promises to be a fantastic spectacle once again! The Spring Edition is the ultimate event to start your spring! Don’t miss it! Tickets are for sale via Ticketscript. There will be a special ticket promotion. Make sure to keep an ear out for it!